You'll be £19.99 closer to your next £10.00 credit when you purchase From Colonial Warrior to Western Front Flyer. What's this? Order within the next 10 hours, 47 minutes to get your order processed the next working day! Sydney Herbert Bywater Harris was an adventurer, a man possessed of great courage and charm, who fulfilled every schoolboy fantasy and really did 'live the dream'. The second youngest of seven children, the ordinary life held little appeal for Sydney so, in 1898, at the age of 17, he left home in Ilford for the Klondike gold rush. Arriving too late to make his fortune he decided to join the US Army. Two and a half years later, after seeing action in the Boxer Rebellion and the Philippines Insurrection, Sydney returned to England where he met and married Elsa de Verde Verder, a lady from an affluent Vermont family. A year later Sydney joined the Kings Colonials Imperial Yeomanry, later renamed the King Edward's Horse. Still seeking excitement, in August 1914 he transferred to the Royal Flying Corps and in 1916 went to France with 23 Squadron to fly the FE2b. Life expectancy for pilots on the front lines was very short and he was badly wounded while gun-spotting over enemy lines. After several months recovering he was posted to Turnberry as Chief Instructor and on the 13th August 1917, he was posted to Marske (by-the-Sea), with the rank of Lieutenant Colonel, to form and command No.2 Fighting School. In 1919 he was awarded the Air Force Cross. But war was not quite finished with Sydney. In 1936, fleeing imminent bankruptcy, he became involved with the International Brigades in the Spanish Civil War. Returning back to England he joined the RAFVR (Royal Air Force Volunteer Reserve) and when the Second World War broke out he was posted to Turnhouse as Section Controller. This really didn't suit him and, determined to see more action, at the age of 58, he arranged a transfer to France as Adjutant with No 1 Squadron where his duties included liaising with the French Air Force. He later transferred to 1 ATS near Perpignan and was one of the last to leave France with the German Blitzkrieg only a few hours away. Despite his ill health he continued to serve throughout the war and in 1947 became Commander at Marchwood Park where the members of the 'Guinea Pig' club went to recover. A remarkable life led in an era of endless possibilities. Royalties from this book will go to Help 4 Homeless Veterans who support Servicemen and women into suitable accommodation, and empower them to develop a civilian career through their links with employers and other organisations. Sydney Herbert Bywater Harris was an adventurer, a man possessed of great courage and charm, who fulfilled every schoolboy fantasy and really did ‘live the dream’. But war was not quite finished with Sydney. In 1936, fleeing imminent bankruptcy, he became involved with the International Brigades in the Spanish Civil War. Returning back to England he joined the RAFVR (Royal Air Force Volunteer Reserve) and when the Second World War broke out he was posted to Turnhouse as Section Controller. This really didn’t suit him and, determined to see more action, at the age of 58, he arranged a transfer to France as Adjutant with No 1 Squadron where his duties included liaising with the French Air Force. He later transferred to 1 ATS near Perpignan and was one of the last to leave France with the German Blitzkrieg only a few hours away. Despite his ill health he continued to serve throughout the war and in 1947 became Commander at Marchwood Park where the members of the ‘Guinea Pig’ club went to recover. This is a rewarding read...An excellent account of an extraordinary individual. There are also many well-chosen images to support the text and these provide a number of fresh insights. A good story, well-told. This is a remarkable story, supported by family documents and photographs as well as wide-ranging historical study and an extensive index. The remarkable story of a courageous and charming adventurer who left Essex for the gold rush. 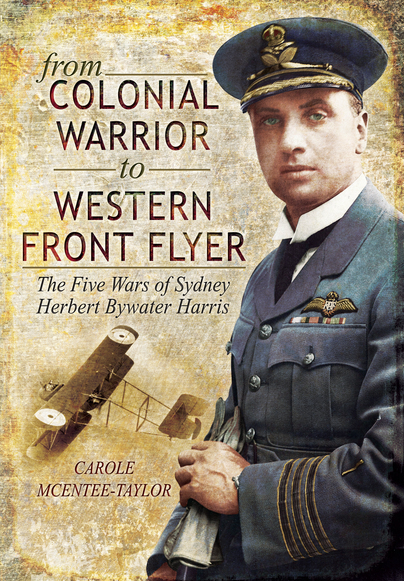 'From Colonial Warrior to Western Front Flyer' is a real Boy's Own adventure, detailing the five wars Sydney Herbert Bywater Harris was involved in and a remarkable life lived in an era of endless possibilities. 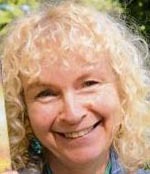 Carole McEntee-Taylor is the author of both military history and historical fiction. She worked at the Military Corrective Training Centre in Colchester for nine years up until 2016 and now lives with her husband David in North Lincolnshire and writes full time.